Bring everyone YOU love to the biggest Splash’N Boots LIVE in Concert event of the year – The Big Love, Kisses and Hugs Tour!! 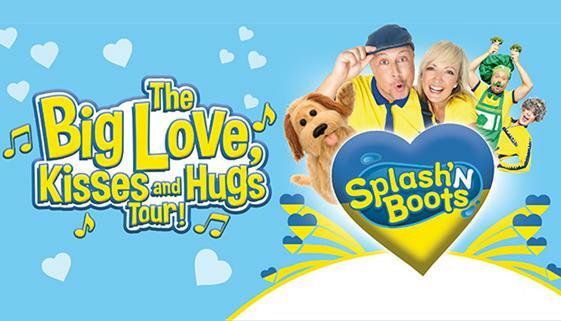 Splash, Boots and the Big Yellow Boot Family are hitting the road with an all-new live show full of those Little Big Moments – moments of dance, laughter, connection, and most importantly, LOVE!! VIP seating includes: premium seating in the first five rows, a meet and greet with Splash and Boots after the show and a special gift!